Last April, I moderated my second talk at the Society of illustrators in NY on the subject of the First Four Years. This is the third and final talk I plan on moderating on the subject for quite a while. The panel of exceptional young illustrators include Tuesday Bassen, Wesley Allsbrook, Roxie Vizcarra, Jonathan Bartlett and Rich Tu. We talked about a wide range of subjects including having a day job while building toward a career in illustration (and how having a day job is ok! ), in house illustration, being an art director illustrator hybrid, promotion, having a life outside of art and a bunch of other subjects. This is a much different talk than the one spoken back in October. 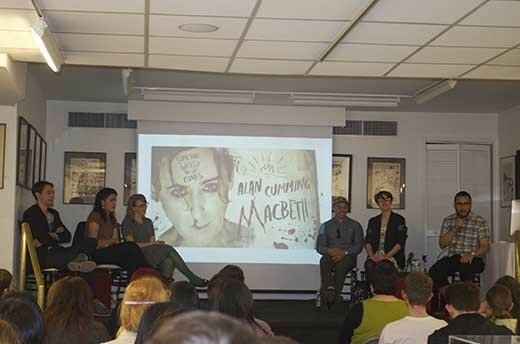 I am moderating a talk at the Society of illustrators on April 27th, 2013 called the First Four Years. This talk is similar to the talk I moderated last fall, but the discussion is much more diverse and will answer questions that might not of been brought up last fall. Questions like: Is it possible to have a day job while building toward a career in illustration? Do in-house illustration jobs exist and if so where in our industry are they primarily? How can I run a successful online store? Is it possible to even have a career in illustration? Please tell your friends! I hope to see you there. Big thanks to Wesley Allsbrook, Jonathan Bartlett, Tuesday Bassen, Rich Tu and Roxie Vizcarra for agreeing to become apart of the discussion.